What is a HECM for Purchase? A HECM for Purchase or Reverse Mortgage for Purchase allows individuals who are 62 and older the ability to purchase a primary residence using their qualified funds as down payment and the balance of the purchase from loan proceeds of the government-insured HECM (Home Equity Conversion Mortgage). All of this is done with one set of closing costs in the transaction and eliminates the need for any further monthly mortgage payments for the buyer. What types of property can I purchase? What are the eligibility requirements to qualify? How do I complete the mandatory counseling that is needed? FHA requires each homeowner to complete a counseling session with HUD approved independent third-party counseling agency either in person or over the phone. The session usually takes anywhere from 60 – 90 minutes. It is a borrower paid expense typically up to $150.00. I can provide you with a list of approved counseling agencies. The counseling serves as a safeguard to be certain that all borrowers fully understand the HECM for Purchase reverse mortgage program. The HECM counselor will review options, answer questions, and be an impartial third party to help advise prospective reverse mortgage borrowers. After this session a Counseling Certificate will be issued showing completion. This must be provided to me at time of application as it is part of the initial loan package. What are some of the benefits of the HECM for Purchase? 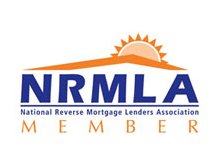 • Relieves borrowers from paying all cash in order not to have a monthly mortgage payment. The unused down payment can be used as a reserve of funds in retirement for maintaining their lifestyle and other costs. • Presently, there are no debt to income ratios (just a minimum monthly residual calculation) or credit score qualifications, however there are minimum financial assessment requirements that must be met for the loan. • Opportunity to get more house for your money if you are looking at a retirement dream home, moving closer to family/grandkids, a more suitable home in an age related amenity oriented community, two story to one story, etc. • Borrowers have property vested in their names and retain full ownership of home throughout their lifetime. How much of a down payment is needed for the HECM for Purchase? • Generally, the older the homeowner, the less down payment required with an estimated range of 25% – 50%. What are the ongoing costs and responsibilities as a homeowner? • Deferred interest on the loan balance is accrued based on either the fixed rate or variable rate option that you have selected. • FHA mortgage insurance at a rate of 1.25% annually but shown monthly on your statement is accrued on the loan balance. Is the purchase contract different with the Reverse for Purchase? It is the same contract that is used throughout California on residential purchases for other types of loans however the way it should be written up is much different in several ways. • First of all, it is extremely important that your Realtor speaks with me prior to submitting an offer. • The purchase contract cannot contain any language about concessions, incentives, or builder/seller paid closing costs. In addition, there cannot be any exchange of personal property or seller rent back. • Closing costs by seller are limited so the purchase contract needs to be written properly to cover the differences. • All required repairs must be completed by the seller prior to closing. These are your standard health and safety conditions along with termite and any home inspection report items deemed significant by underwriter. • Additional FHA forms need to be included at the time of offer. Who actually owns the home after a Reverse Mortgage for Purchase? The homeowner does as this is many times a misconception with borrowers. All we are doing is providing a very special and unique kind of loan financing that does not require monthly mortgage payments. The homeowner is vested on title as the owner whether it is done individually, jointly, or in trust. Trusts need to be reviewed and approved by underwriting and the title company. What happens to the home when it is no longer occupied by the owner? Occupancy of the home is critical and when that time occurs due to health reasons, moving, or the death of the last borrower then the reverse mortgage needs to be paid in full. • As stated above, the home is vested in the borrowers name in some form. That being the case, the house will be left to the heirs and will be settled the exact same way as any other estate with a home involved. • The heirs can keep the home and refinance the loan or sell the property to payoff the reverse mortgage. • If the sale price exceeds the mortgage balance then the difference will go to the estate. If the sale price is less than the mortgage balance, the estate will NOT be responsible for that deficit. The FHA HECM is known as a non-recourse loan and provides that protection. For all other questions and I know you have more, call me toll free at 1-888-323-3555 or directly on my cell phone at 760-458-2755.